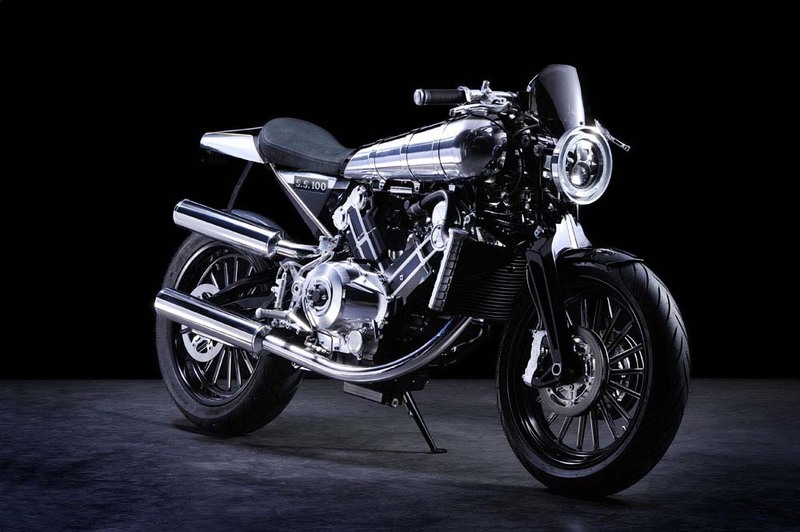 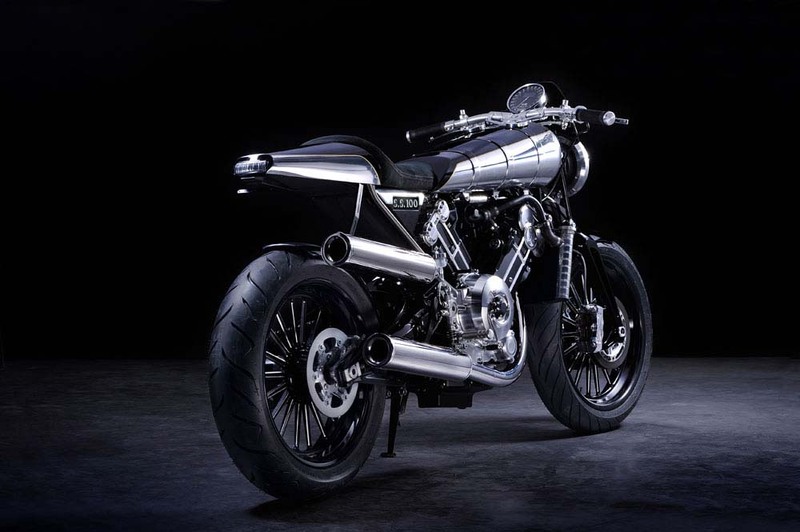 The legendary brand of Brough Superior is making a resurgence, as the British marques debuted today at the 2013 EICMA show its first all-new street bike in decades, the Brough Superior SS100. 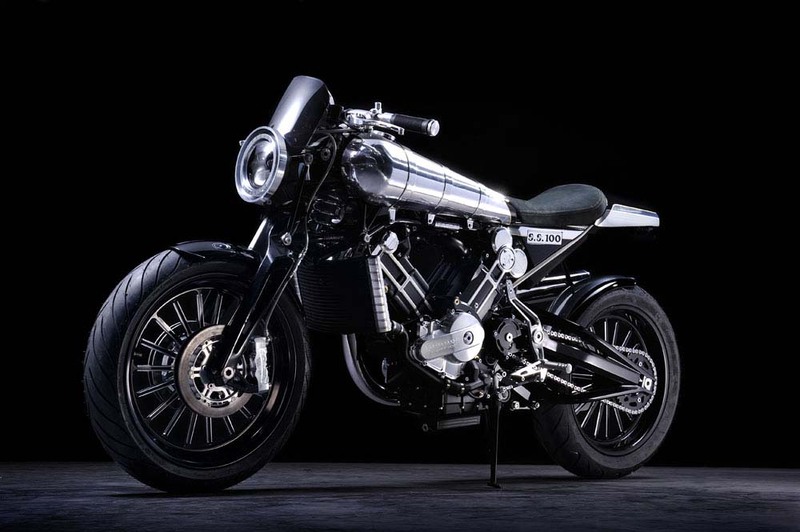 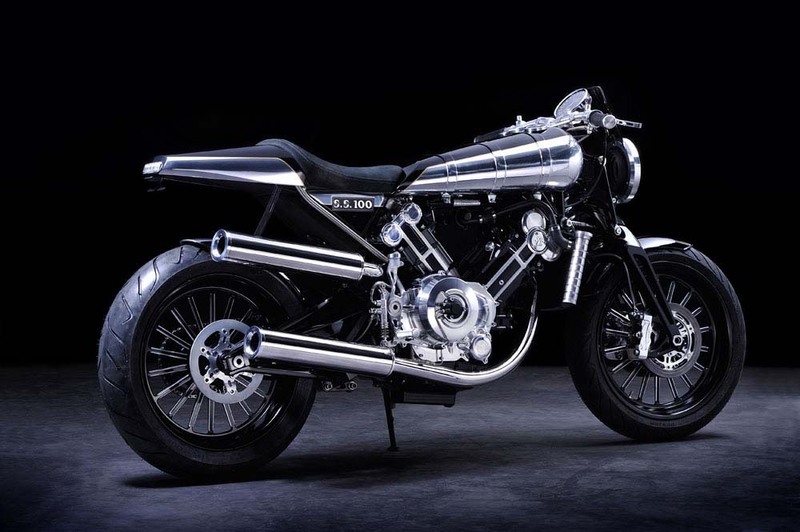 A bit of high-tech meets old school, the Brough Superior SS100 draws heavily from the classic lines of the original Brough Superior SS100 before it, though the modern-day machine incorporates some clever innovations and contemporary pieces. 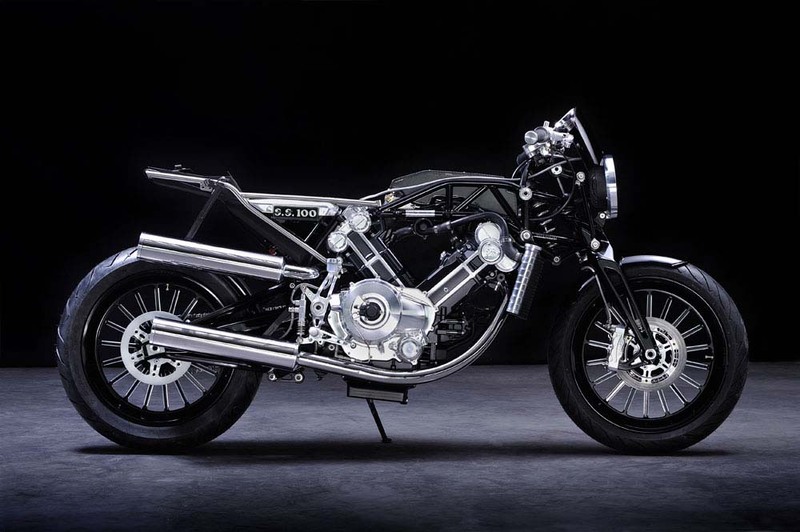 Built in an astonishing 90 days, the Brough Superior SS100 project was able to meet such an incredibly short schedule due to the fact its 88° v-twin engine, which had been designed via a collaboration between Boxer Design and famed engine tuning house Akira, had been in development for several years and initially planned for the ill-fated Voxan company. 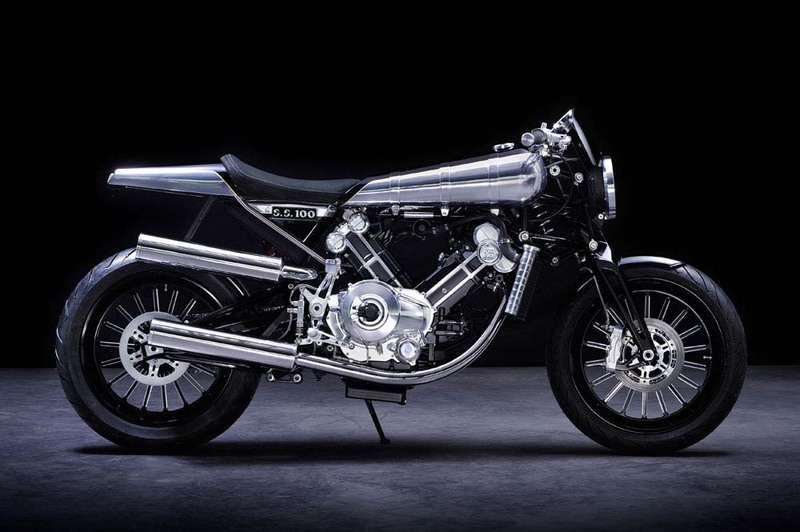 With the 997cc motor built to be a stressed member of a frame, Boxer Design was able to build the Brough Superior SS100 around the engine, and the result is quiet stunning. 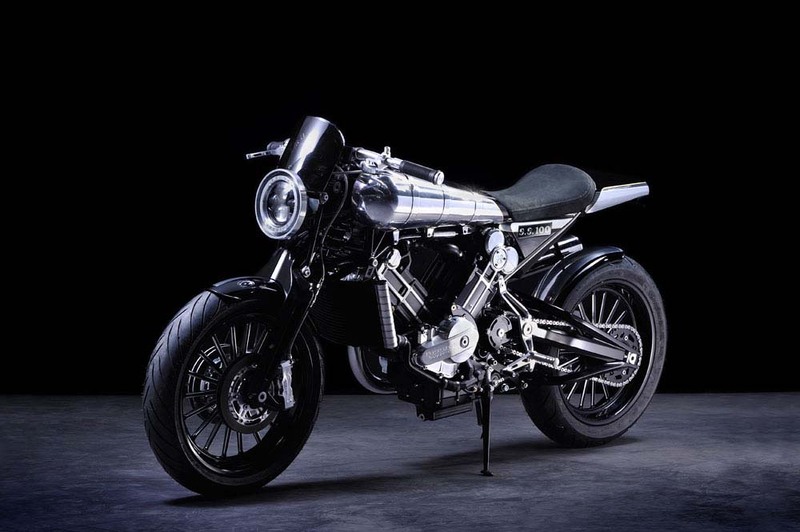 At first glance, one might think that they are looking at a motorcycle from an older era — a 1925 Brough Superior SS100 with girder forks and drum brakes, for example. 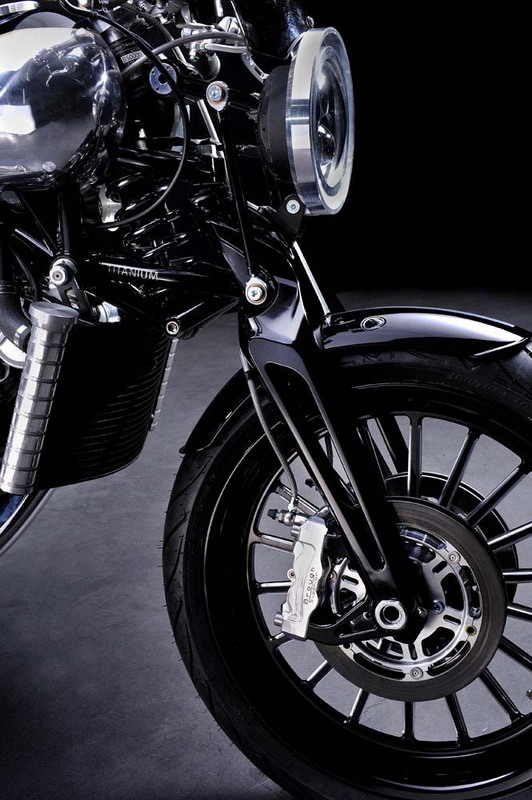 But upon closer example though, one can see that Boxer Design cleverly built a Fior-style front-end, which BMW riders will know better a Hossack or Duolever setup. 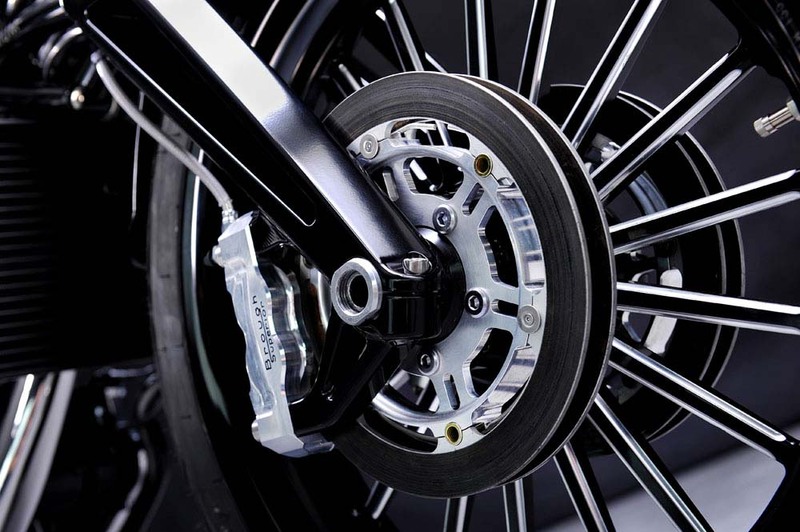 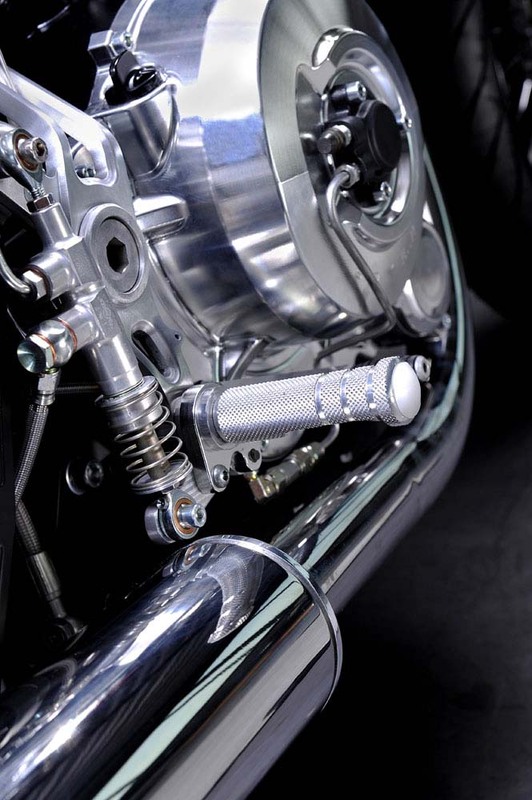 The modern front-end allows the braking forces and suspension travel to be separated, allowing a rider to push the brakes further into a turn than with a telescopic fork setup. 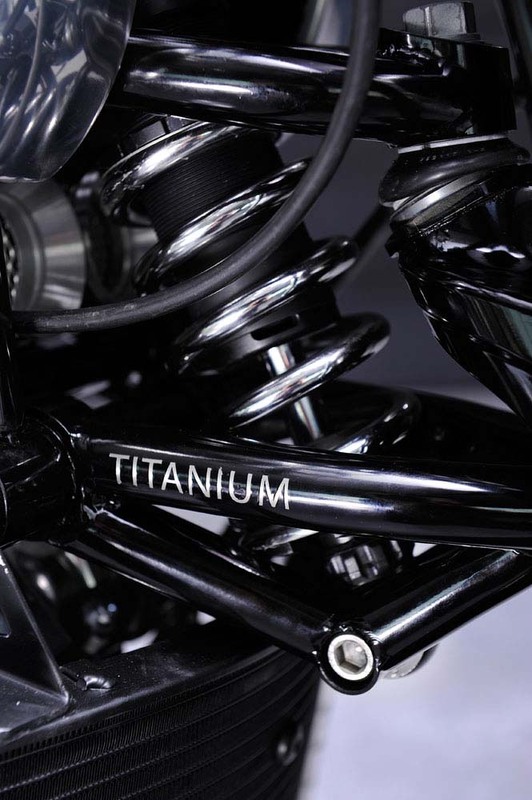 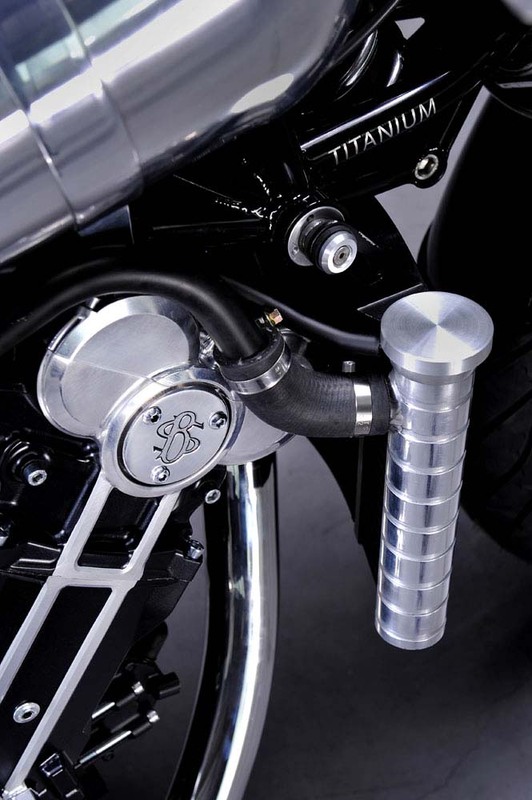 Using an magnesium alloy for the fork legs, and titanium for the suspension triangle, the reincarnation of Brough Superior is true to the original, and is using the most advanced engineering and materials available on the market for its work. 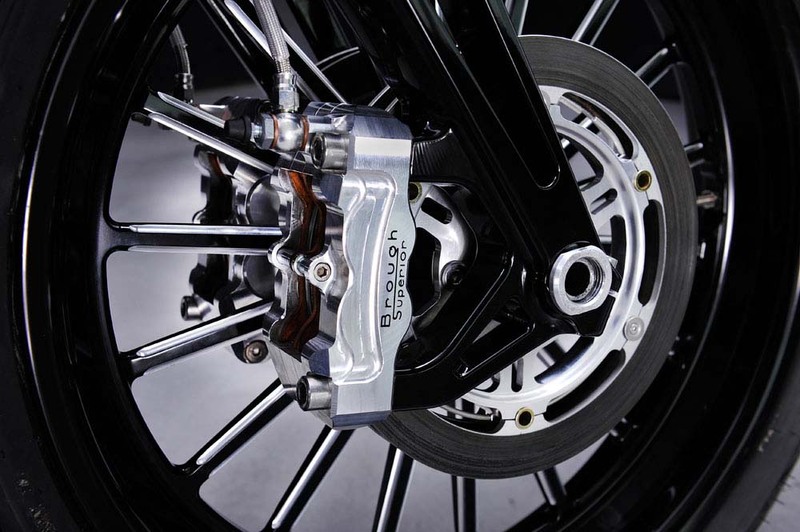 One of our more favorite elements along this vein is the Brough Superior SS100’s front disc brakes. 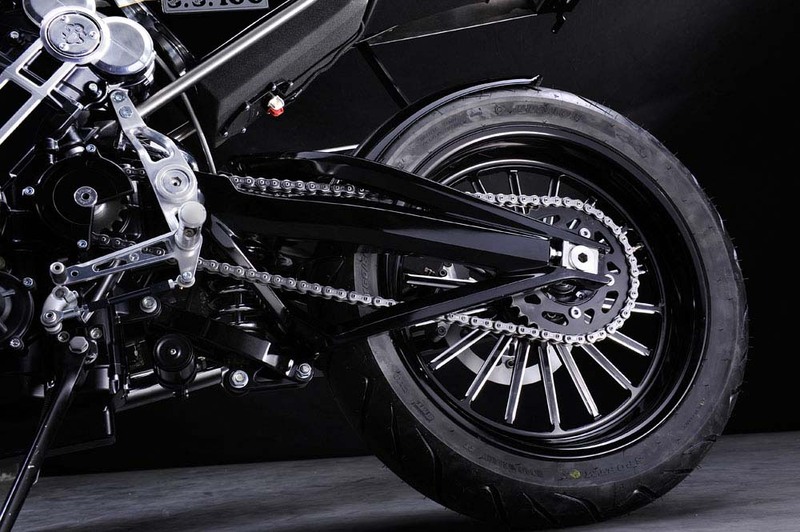 Built with the intention of giving the appearance of drums brakes, but closer inspection reveals a four-disc Beringer braking setup. 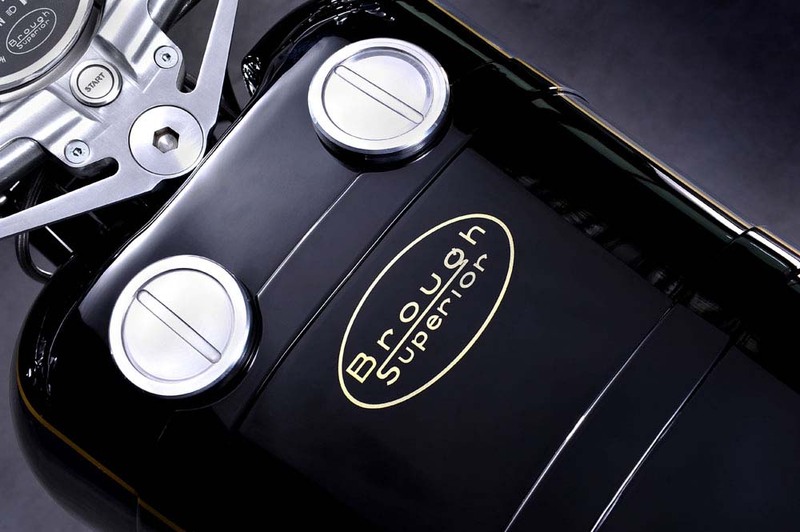 This allows the Brough Superior SS100 to have ample braking power, while still retaining a design that is close to the classic SS100. 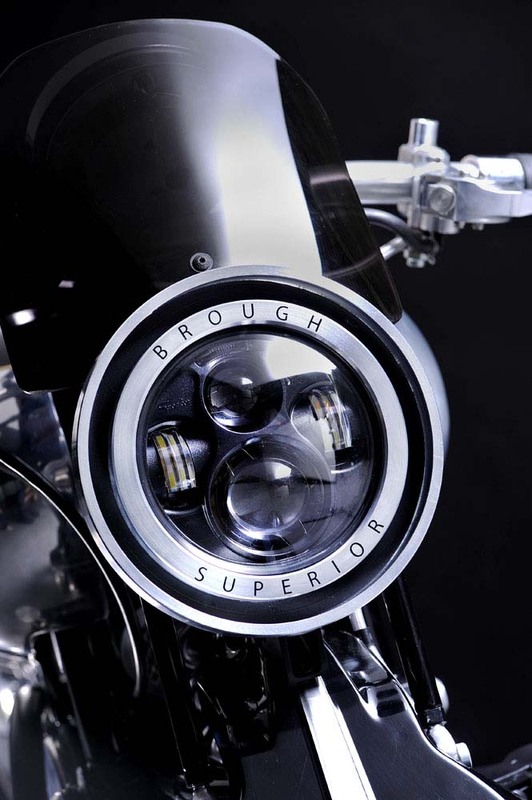 The headlight is a full LED unit, which is a nice piece of tech, though it is probably our one issue with Boxer Design’s choices for the Brough Superior SS100. 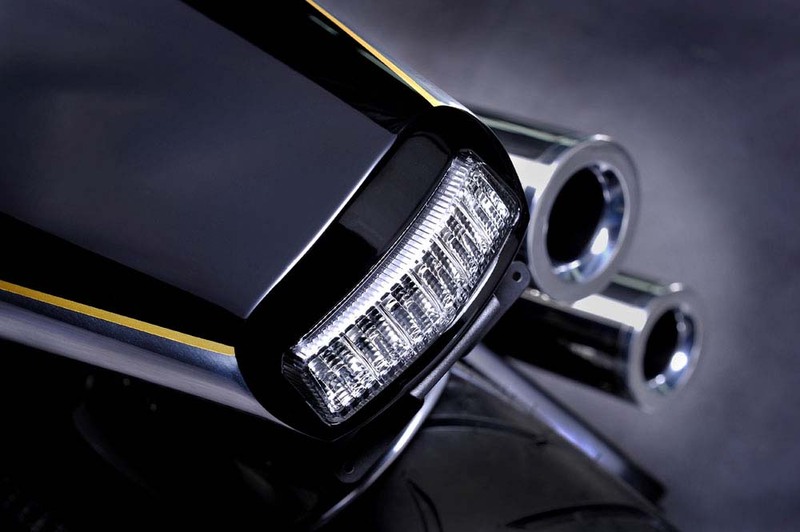 An aftermarket piece that has been around the block on everything from Harley-Davidson cruisers to Zero electric bikes, the LED headlight chosen doesn’t fit with the rest of the machine that drips exclusivity and premium refinement. 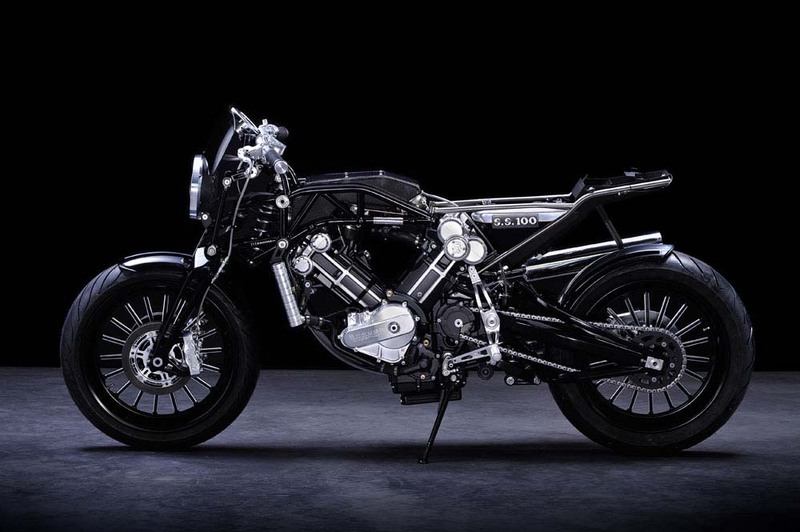 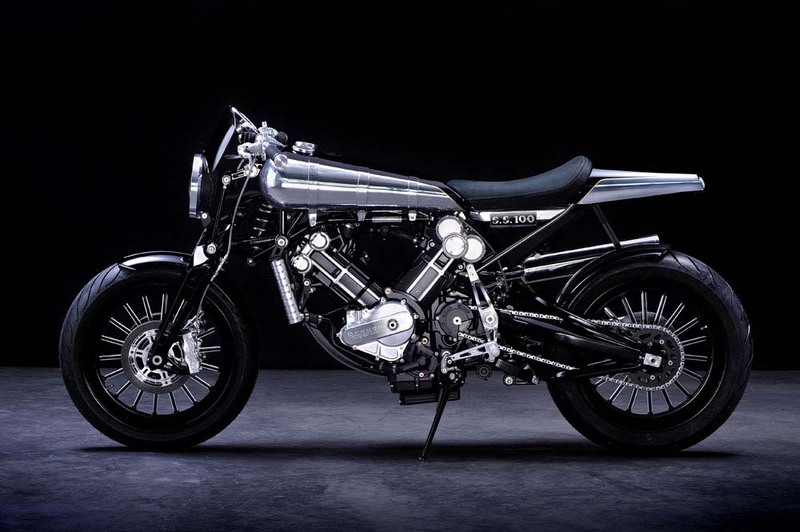 Still overall, the new Brough Superior SS100 is a true work of art. 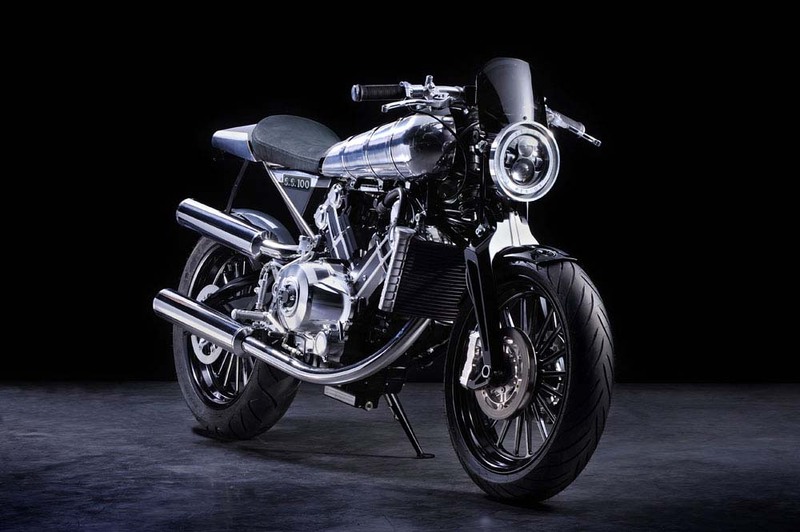 Fans of the brand can enjoy that the classic lines and aesthetic of the original SS100 remain, while the company is continuing to be true to the brand’s original reputation of smart and unique motorcycle designs, built the demands of each individual customer.